My friends have asked me before where my money disappears to..I tell them I am just terrible at keeping track of it but in actuality I am just really very good at spending it. I am especially good at spending other people's money, particularly in the form of vouchers and birthday money. 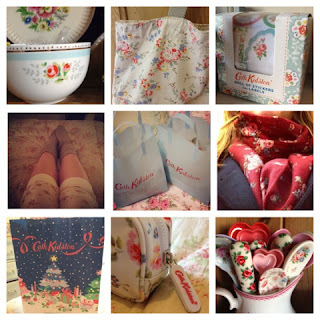 So with a few birthday visits to my favourite antique centres (with birthday money in purse) as well as some Cath Kidston vouchers and an extraordinarily lucky win of a gift voucher from Dunelm Mill I have purchased a fair few lovely new things of late. 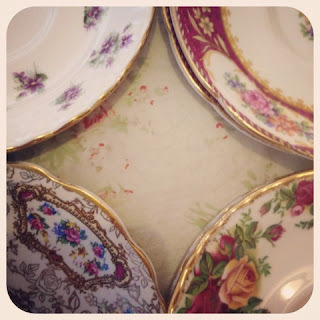 I made easy work of spending my Cath K voucher..
And of course, I always like to find pretty crockery for my collection. 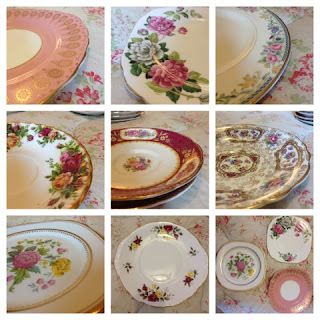 And thanks to a visit to the antique centers of Lewes as well as the Fleetville vintage emporium and now I have an even fuller cupboard.. I spent my birthday money on a few things that I have long pined for. Things like..my first eiderdown blanket. My mum had given me just enough money to make this beautiful blanket mine forever and what a lovely birthday gift it makes..one that I can keep and hand down. My cat loves it as much as me.. 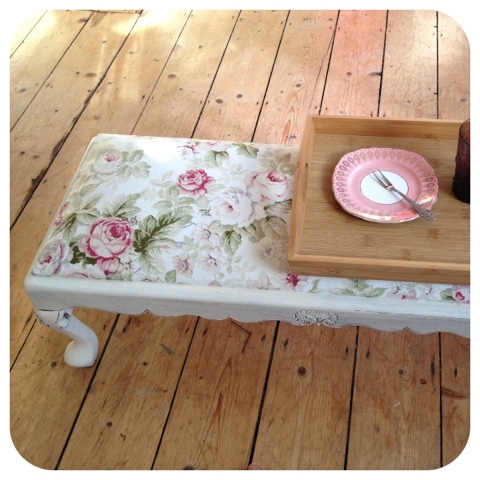 I have also been looking for a little footstool that could double as a coffee table. Fleetville was the place to find such a thing. 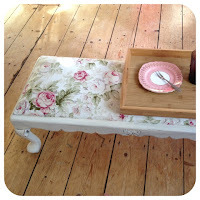 And look at the beautiful antique rose style fabric. My favourite print. My nana is to thank for making this possible.. There have also been a good few unexpected treasures that I had to bring home. 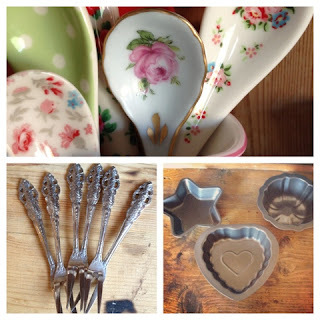 A rose print spoon, vintage cake forks and the sweetest mini tins. Star shaped pie for tea from now on! And then there's the business of that Dunelm Mill voucher. I had never been to Dunelm Mill before but had heard great things. I won the voucher by submitting my vintage trunk makeover to their 'Like it or love it' design scrapbook and I waited patiently for weeks for the chance to spend it. I spent some of the voucher on some wonderfully priced practical grown up stuff (much needed) but I also treated myself to another glass cake dome. 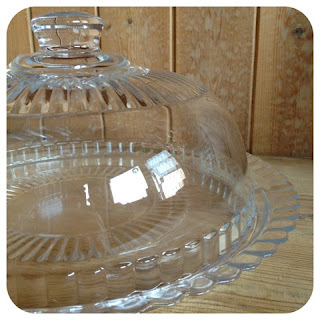 An absolute bargain at just £9.99 and it's huge! I'm so in love. I have also given my bed a makeover with some new plump pillows, frilly cases and a valance. I'm trying to create that hotel look with an abundance of comfort! It certainly is comfortable now. 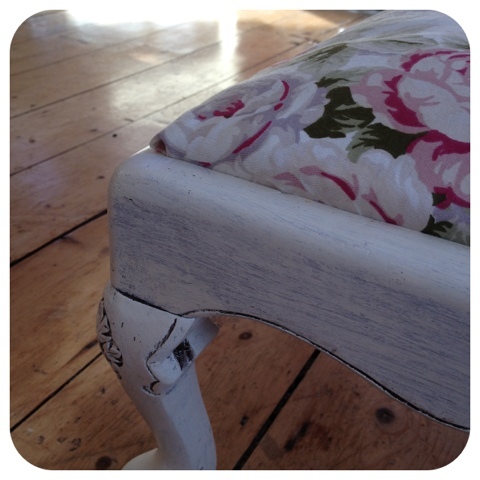 So thank you Dunelm Mill. 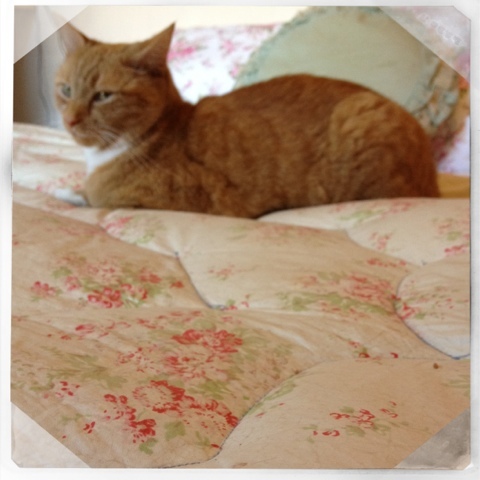 I love my made over bed very much and all the other bits too. And there you are, all up to date on the new bits and pieces that are keeping me happy. Better start saving for Christmas now I suppose. Have you treated yourself recently? Look forward to seeing it :)...If I did a full post on it then it would be quite dull because I got a lot of practical grown up stuff like a draining board and a frying pan haha. Ooh what gorgeous bits and bobs Lexie! 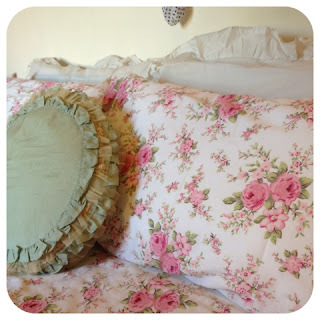 Love love love your eiderdown.